Michigan Aluminum Corporation is a wholesale-only distributor supplying gutter contractors with aluminum coil, gutter components, tools, and machinery throughout Michigan, Northern Indiana, and Northern Ohio. We were established in 1992. Our mission is to supply the seamless gutter contractor with the best material available and with the largest selection of the most popular siding and trim coil colors on the market today. 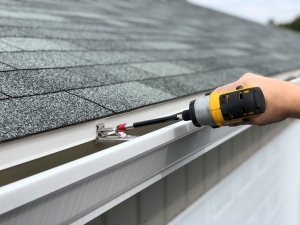 Michigan Aluminum was established in 1992 in Wayland, MI to provide the best service to gutter contractors in the area. We offered 10 colors of gutter coil, and worked out of a 4,000 sq ft barn. 2007 – A Detroit-area sales office and warehouse, now located in Wixom, MI, was established to better serve eastern Michigan and northern Ohio. Michigan Aluminum is a second-generation, family owned company that has become the leading gutter wholesaler in the state of Michigan. We take pride in offering the most complete line of products, with the largest inventory of colors in the industry. We believe in American products and manufacturing, and our product offerings reflect that through domestically sourced coil, accessories, and equipment. Our quality products will get your gutter needs sorted out. View our products to see the variety and quality of gutter materials we provide.